That photo of Sir Malcolm Arnold and Julian Bream appears on the late composer's website. Ten years ago I was literally very close to Sir Malcolm's music. He spent his final years being tended by his carer Anthony Day in Attleborough just a few miles from where I live in Norfolk. I managed Sir Malcolm's website and one of my first posts about his music dates from that time. Following Sir Malcolm's death in 2006 I never lost my appreciation of his music, but it featured less frequently in my listening. 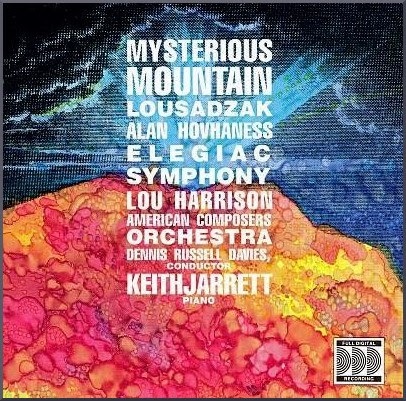 However, recently I have returned to his symphonies, and listening to them again has raised some important questions. 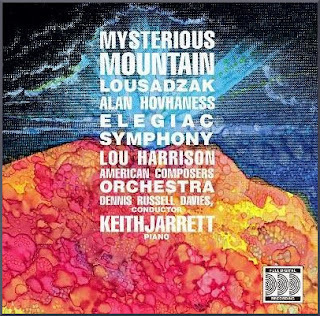 His nine symphonies are the product of a master craftsman. They move forward from Mahler and Shostakovich, yet should be immediately accessible to contemporary audiences saturated in the music of those two composers. But, despite this, Sir Malcolm Arnold's symphonies remain unknown outside a small circle of admirers. Why? Let me make it clear at this point that this post is not yet another plea for more Malcolm Arnold. It is a much needed exploration of the process that determines the popularity of composers, a process that, as I will explain, has important implications for widening the audience for classical music. 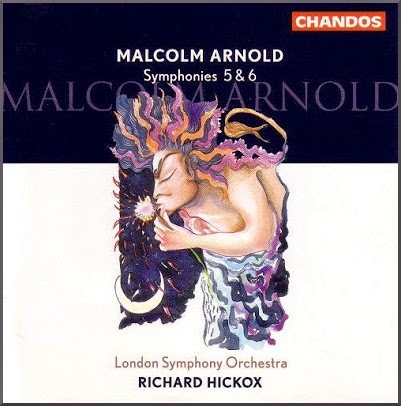 Sir Malcolm Arnold's music is just a convenient example. I am sure readers can suggest many other composers from around the world who could be used as an example - Albéric Magnard, Wilhelm Stenhammar, Arnold Bax, Alan Hovhaness, Eduard Tubin, André Jolivet and Edmund Rubbra are just a few who spring to mind. A cursory glance through concert programmes shows that the music of Mahler receives a thousand times more exposure than Sir Malcolm Arnold's or that from any of the composers mentioned above. Which again prompts the question of why? Let's accept for a moment that the concept of a 'better' composer is meaningful. Is Mahler's music a thousand times better than Arnold's? 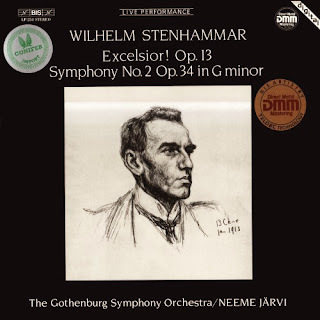 I do not argue that the two composers are equal; but I do argue that the received wisdom reflected in concert programming that Mahler's extant nine symphonies are a thousand times 'better' than Sir Malcolm's is a dangerous doctrine that is damaging classical music. Early championing by Leopold Stokowski, Bruno Walter and Dimitri Mitropoulos in the States and Sir John Barbirolli in Europe introduced Mahler's music to a mass audience. Leonard Bernstein's Mahler in the concert hall and on record in the 1970s provided the tipping point, together with advocacy in Europe by Sir Georg Solti and Bernard Haitink in Europe. 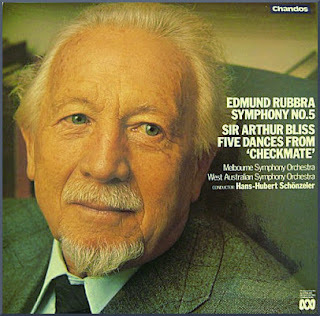 The composer's popularity was boosted by the addition of pioneering cycles of his symphonies to a record catalogue which, at the time, did not contain multiple versions of every classical work ever composed. All of this has led to Mahler being one of the most performed composer's in the twenty-first century. The Mahler revival and his subsequent popularity is usually attributed to this surge in availability of live and recorded performances of his music. But the process was more complex than that. Respected figures such as Stokowski, Bernstein, Solti and Haitink gave audiences positive permission to like music that fifty years earlier Arnold Bax had described as eccentric, long-winded and muddleheaded. Moreover the endorsement of major record labels gave further permission for audiences to like and explore this unfamiliar music. It is this little-understood process of permissions that, I propose, explains the huge differences in popularity between composers of broadly similar merit. The role of permissions is receiving considerable attention in the areas of normative systems, jurisprudence and - of particular relevance to this discussion - information management. In a paper for the Journal of Applied Logic, Audun Stolpe of the University of Oslo identifies two main categories of permission. Negative permission allows an actions unless the action is specifically prohibited, whereas an action is only positively permitted if, and only if, a code explicitly permits it. Based on this approach, I am proposing that the theory of permissions explains the skewing of classical music repertoire towards a small group of favoured composers. If permission theory is deemed applicable to classical music in the micro context of individual composers, there is potential in exploring whether the absence of positive permissions in mainstream media and in the education sector explains the decline in the popularity of classical music at a macro level. My thesis is that the huge difference in profile between Mahler and Arnold is not because Mahler is a thousand times 'better' composer than Arnold, but is because a network of permissions that is often mediated by opaque commercial agendas determines the exposure a composer receives, which in turn determines popularity. In the 1970s respected conductors and established record labels gave audiences positive permission to like the little-known music of Mahler. But fast forward to 2015 when the influential permission granting conductors are churning out the same narrow range of repertoire - currently Mahler and Sibelius. This skewing of the repertoire is aided and abetted by the all-powerful management agents who boost their earning by sending their clients on tour to wherever there is money wherever there is money performing Mahler. Occasional token performances of Malcolm Arnold and other little-known composers are no more than negative permissions, which lack the positive authority for audiences to like this unfamiliar music. Yes, visionary conductors such as the late and much-missed Vernon Handley and Richard Hickox gave positive permission for audiences to like Arnold - and Bax and Rubbra - and today the indomitable Kenneth Woods is doing the same for Hans Gal. But, to the discredit of the classical music establishment, none of these conductors had or have the international profile to grant global permission. A number of responses to my recent post 'Classical music must go on a diet to survive' expressed the view that not only is there too much classical music today, but there is too much of the same music. To take a topical example, the current London residency by the Berlin Philharmonic and Simon Rattle is spread across five concerts. The repertoire for these concerts comprises no less than seven Sibelius symphonies plus the composer's Violin Concerto, a Mahler symphony (no 2.) played twice, and two token - in presence not stature - performances of the sixteen minute 'Tableau for orchestra' by the little-known Helmut Lachenmann. In an earlier post I expressed the view that classical music's big opportunity is not a mythical new younger audience, but the current audience. Based on this assertion, I suggest that the current obsession with the 'short head' of repertoire - Mahler, Sibelius etc - at the expense of the 'long tail' - Malcolm Arnold etc - is stifling an important opportunity to expand the market. If every current audience member attending ten concerts in a year (that's less than one a month) was persuaded to come to one more concert, the classical music audience would increase by 10%. Similarly if every classical music buyer purchasing 10 CDs (or streams/downloads) a year bought one more CD, the market would grow by 10%. And, at the risk of repeating myself, if every classical radio station listener increased their listening from 10 to 11 hours a week, the classical radio audience would be 10% bigger. And that 10% growth is a lot better than classical music's big new ideas are currently achieving. How much more Mahler and Sibelius can the vital core audience take? Does the catalogue really need another Zarathustra? But 10% growth could be achieved by broadening the tastes of the existing audience. To do this concertgoers need to be given positive permission to like the music of Malcolm Arnold et al. Which involves more than token performances: it involves total commitment from celebrity conductors, concert promoters, music festivals and media organisations to treat these composers as serious musicians, not freak shows. All musicians, especially those earning a king's ransom - have an obligation to broaden classical music's tunnel vision repertoire. This involves programming complete cycles of little known music at the expense anniversary composers, and it will not produce short term results. But we have to accept that there are no quick fixes that will extend classical music's reach. Classical music's big opportunity is its current audience, and giving that current audience positive permission to like a wider range of music is the first step along a road in turning a major opportunity into audience numbers. Also on Facebook and Twitter. Any copyrighted material is included as "fair use" for the purpose of critical analysis only, and will be removed at the request of copyright owner(s). It is good, if unsurprising, to see one of Sir Malcolm Arnold's publishers, Faber Music, tweeting this story with the comment 'Wise words'. Over the years I have been reading, I have found your blog a very rich source of positive permission. 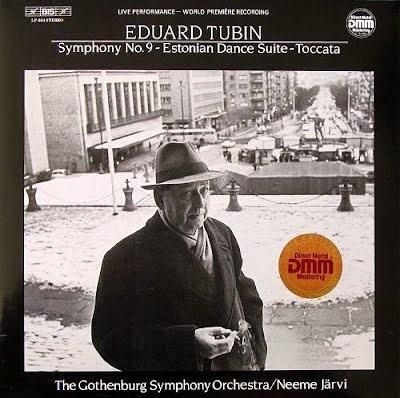 The blog is the reason, for example, that when I found your most recent post I was listening to a new recording of Nielsen's 2nd (Alan Gilbert and the NewYork Philharmonic). I also recall a comment in the American Masters special on John Cage that part of his importance for the art and music world is that "he gave us permission." Before I get to my main comment, a litte trivia. My eyes widened a little when I read that Arnold lived in Attleborough, for that is where my niece lives and it is not far from Horham, the very small village where my late brother lived and where Britten, rather oddly, bought a house to escape from an airfield close to his main home. You could walk to the airfield near Horham. Then I recall that in the 60s I lived a pleasant walk away from Andrzej Panufnik, who might be added to that list of neglected composers. England, and London ten-fold, is such that all this is not so very surprising. Carrying a very large painting, I literally collided with Sir Adrian Boult outside Sotheby's. Courteous as ever, he graciously accepted my apology and asked about the picture. But to something pithier, after reading your synopsis of Stolpe's article, I looked at it, thinking "I'd better see a mention of Isaiah Berlin in this". I didn't. This is too big an issue for me to go into it here -- I'd exhaust the allowed length -- but if you want to further develop your thesis, Bob, I have a suggestion. Stolpe's subject is really a variation on a concept Berlin presented in a series of lectures in 1958 and published by the OUP: Two Concepts of Liberty. Those two are, of course, the positive and the negative, and Berlin's 57-page book, which I have, can be read on the internet -- just google that title and it appears as a pdf. Perhaps first look at a surprisingly good Wikipedia article entitled Positive Liberty. Berlin's work is considered seminal, which is why I wanted to see it cited by Stolpe. I have to give Stolpe a close reading, but substituting 'permission' for 'liberty' may from the academic view be a bit dodgy. Berlin's exegesis and analysis is seminal, but he is discussing concepts that start with Plato. What I thought relevant here is his argument that Positive Liberty as conceived by Plato, Aristotle, Rousseau, Kant and Hegel had an unfortunate consequence, a twist in a different direction. They viewed it as grounded in rational knowledge, and thus the preserve of an elite. This also manifested in Mill, and thus came the famous dispute with James Fitzjames Stephen. And thus also came about today those conferences of the Great and the Good in classical music who decide what the masses should listen to. The Great and the Good are, of course, as we've much discussed, the management agencies, the CEOs of music festivals, the boss of BBC Radio 3, et al. Positive Liberty, as Berlin argues, is desirable only when conceived as the autonomy of individuals and their liberty to choose. This is what classical music audiences do not have. Positive Liberty as conceived by Hegel could lead to totalitarianism -- and perhaps it did. Reading Berlin may summon up ideas on how to combat the Great and the Good. Richard Bratby has pointed out on Facebook that by auspicious coincidence Simon Rattle is conducting the Young Orchestra of London in an extract (?) from Sir Malcolm Arnold's Little Suite No.2 at the Royal Festival Hall on Feb 15. My particular contributions to the "if you don't know them, look 'em up" list would be William Shuman and Einojuhani Rautavaara, and I've recently started digging through the symphonies of Pierre Wissmer. I also second the mention of Panufnik, and have been devouring the CPO releases each time one comes out (they're up to an 8th volume). As for radio, well again in the states, there are financial factors that may come into play even more than just the "same stuff" problem that BBC3 has. With no commercial interest and no state support, most classical is now non-profit publicly-funded radio. In order to save money with ASCAP and BMI, they tend to emphasize non-modern material a lot, to the point that there is more 17th century music than 20th played. i appear to be the only one that complains about that. In the end, I gave up, and occasionally listen to online stations or just my own extensive collection. The real danger when music is overplayed is that musicians start looking for novelty for novelty's sake. Case in point: yesterday's reading of Sibelius 5 as heard on the radio by the BPO/Rattle. Wonderful playing indeed and lots of work but why play with the tempi except to try to artificially bring a new light to a now more familiar work ? There are so many examples. These are good points. It is absurd to say that Mahler is 1000 times better than Arnold. Or that Sibelius is better than Bax. Is this partly Anglo-Saxon defensiveness? I’m a great fan of big, blousy, anxious, wonderful Arnold and tedious, inspired Bax, and spend more time with them than I do with Mahler. Never mind Bax as a symphonist: if you hear William Primrose playing him, I don’t think you can say that he is inferior to anybody writing chamber music at that time anywhere. But in the end, Mahler stands taller than Arnold because his music has even greater spiritual force (perhaps it reminds us what early Christianity might have felt like), because he came from such an explosive cultural centre (reminding us of the transitoriness of such centres, since Austria has not produced a single major composer since 1945, or correct me) and because he speaks so poignantly to us from the other side of 1914. Conductors conduct Mahler too much. My resistance-movement is that I refuse to buy Mahler recordings. Still, permissions count. Germans needed permissions with English music, and I suppose they got them via Colin Davis and others. Joe, two things that may be of help with your dilemma, which I understand well. Firstly, google listenlive.eu There, organized by country you will find direct links to classical music stations across Europe that can be streamed online. There is an awful lot of them, much exploring to do, and of course there are clunkers. But in general they put the North American situation to shame (just as, by the by, the U.S. puts Canada to shame). I have myself settled upon two stations in Italy: RAI FD5 Auditorium (which often draws on the RAI archive of concert broadcasts) and Radio Classica Bresciana. I've heard more British music, Arnold included, on the latter than one is ever going to on BBC 3. There is also the site 'Classical Live Online Radio Webcast', the same except that it covers the globe. I do sometimes re-explore stations listed there, heading always to South America, where they take classical music seriously. Again, just simple links, so a click and you're off to the symphony, so to speak. Second, go to tso.ca, the site of the Toronto Symphony Orchestra, sign up for their very, very occasional e-newsletter, and then accept the invitation to sign up for Beethoven on Demand -- just a couple of clicks and nothing to download. Once in BoD, you'll discover it is, in fact, the Naxos Music Library, now yours free, which in Canada saves an annual subscription of about $250 p.a. As Naxos distributes about 700 labels (and now the entire HMV/EMI and RCA catalogues), and the catalogues of all are in the library, you have about 106 000 full-length CDs to choose from, streamed with a couple of clicks. There are new additions daily. The only difficult thing about it may be thinking of a composer you won't find in there! (--: This has been called the biggest bargain on the internet, but given that it's free, I tend to think of it as a wondrous gift. If historical recordings are of interest, the great artists of yore or those unjustly forgotten, it's a cornucopia of those as well. I believe the data bear out that classical music's greatest asset is an audience which returns to the concert hall year after year, decade after decade. My question is this: if a symphony won't program the repertoire from last week, why is it ok to repeat the same warhorses from last year? In the meantime, I should note that this month's BBC Music (well, the Feb issue just hit American newstands. I know we're a few weeks behind.) has Rautavaara as their "composer of the month". This makes me happy, if for a little bit. That said, selling lots of classical music for near-free may do good to maintain the audience, but perhaps it devalues the music too much (as do the the dollar-bin conductor compilations - when I can get a 10 disc set from EMI for some of Andre Previn's best recordings for less than $60?). It doesn't do the classical artist much in terms of revenue to survive when their music is given away, giving them no royalties to live off of. As I mentioned, Joe, although Naxos produces its own recordings, it is also a distributor. Apart from EMI, RCA and a couple of others, all those labels are independent, and obviously happy to have their catalogues in the NML. You can't download or purchase at any price from the NML, and free access for streaming is, apart from the TSO arrangement, as far as I know only made with libraries and universities. Much to the advantage of some of us, many of the artists on some labels and greats of yore and no longer with us, and many of the labels are so specialised that the artists are paid a flat fee rather than via royalty -- and just as well for them. I suspect it ultimately benefits the labels, else they would not choose Naxos as their distributor and agree to inclusion in the NML as part of the terms of the contract. 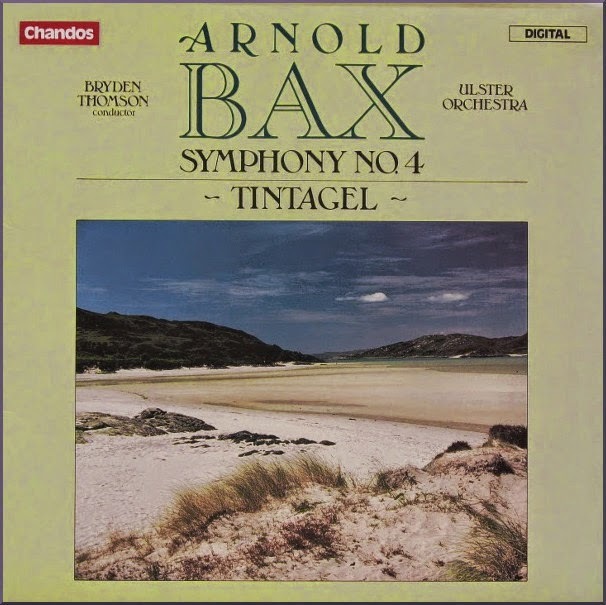 I'm not privy to any other detail, so for all I know, the labels may get a financial return on inclusion in the Library from Naxos (hardly a typical classical record company in any respect) or they may discern other benefits. At any rate, I cannot myself discern any devaluation.
" If every current audience member attending ten concerts in a year (that's less than one a month) was persuaded to come to one more concert, the classical music audience would increase by 10%." More accurately, it should have said that if every concert-goer was persuaded to attend on average 10% more concerts a year, attendance to concerts would increase 10%. Your math assumes that 100% of audiences attend 10 concerts annually, which certainly would only describe a minority of concert-goers. Also, this would be a strengthening of dedication among audiences, not an actual increase in the audience population. Sorry for splitting hairs. I think the point is clear, and I'll be passing it along. I can't complain about the current glut of Sibelius, as he's been out of favour for so long and it is his 150th anniversary. 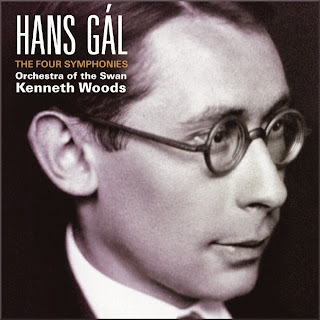 As far as Arnold is concerned, yes, he is underrated and misunderstood, but it's heartening than a younger generation are reappraising his music (Charles Hazelwood's R3 programme about the 5th Symphony was an eye-opener). I come from the post-Glock generation and when I became interested in classical music, I couldn't understand why Mahler and Britten were venerated while Sibelius and Vaughan Williams were almost ignored by the Proms. Many of my friends felt the same way. I'm not convinced by Bax, but I'm not sure how much of a symphonist Mahler is either, so it would be interesting to see how different things might have been if Bax's 3rd had been given the same advocacy as Mahler's. 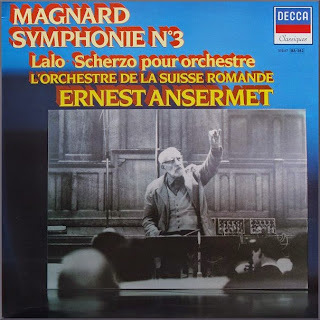 On the subject of 3rd symphonies, it was good to see Magnard's given a mentioned - easily as good as, or even better than Cesar Frank's Symphony in D Minor. I make it quite clear in the paper,which is a formal logical analysis, that the distinction between positive and negative permission is not mine. No one has read everything. I havent read Berlin, althoug it sounds like I should have. As far as the topic of the blog post goes, I agree wholeheartedly. What happened to all the magnificent composers in Mahler's immediate spatiotemporal surroundings? When does one ever get to hear Zemlinsky, Schulhoff, Schmidt or Foerster? Or, from among thr British, Delius, a man whose music was admired by no less a figure than Bartok. Classical music is being streamlined for the complacent middle classes. There is a lot of rebellious, angry, strange, beauitfully weird music out there that equally strange, rebellious etc people would identify with if it were ever played. The concert halls cater for the consensus. It is a branding of classical music that is ultimately not in its interest. I dare you to read the rest of the paper. Let me know if you still find it "academically dodgy".